Posted byAtulHost	 11th Nov, 2018 11th Nov, 2018 Leave a comment on How to Professionally Deal with a Bad Boss? What do you do if you have a bad boss? Little difficult question to answer, right? I’ve been led by about 7 – 8 of bosses so far. If you count their bosses, I don’t know even how many. Not all of them have been perfect, but then again who is? I’m not at least. None of my bosses have been extremely bad. The worst examples I have seen are not my bosses. Luckily, because working for a bad boss is terrible. 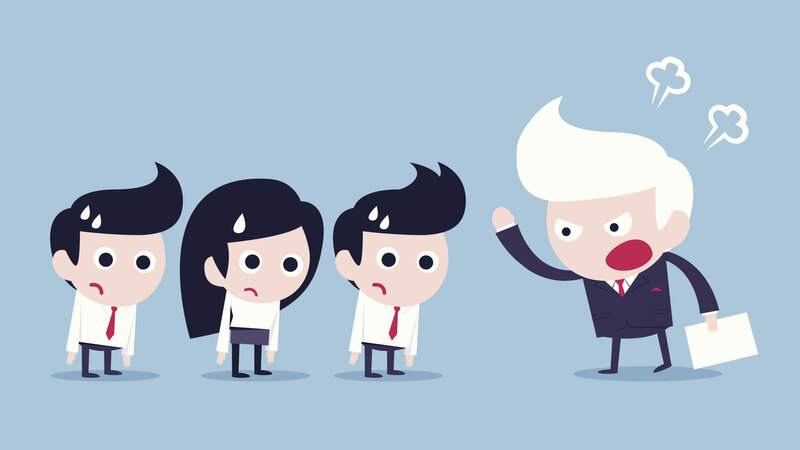 So, what do you do if you have the misfortune to be managed by a terrible boss? Part of your leadership is to lead your boss. Yes, you did hear it right. Forget hierarchies! Leadership is not about the position. You can lead your boss. Of course, don’t tell to your boss that you lead him, but take it as a leadership challenge. So, how do you lead your boss? Start by listening. Listen to what are the problems for him. What is important to him? What he needs from you? What he needs from others? Try to find out the environment. Once you know that. Help him. Don’t solve every problem he has, but something to get started. Do that a few times. He will begin to understand you. As he starts to trust you, he will come to you with his problems more often. It’s time to start demanding things. Don’t demand with a demanding tone, that’s the most annoying thing. Nobody wants to hear demands. Demanding causes a defensive reaction right away. Instead tell them what you would need, or what is needed for the problems to be solved. Beware of a demanding tone. The more you help him, the more freedom you’ll get. He will earn glory for the things you have done, but that’s something you need to live with. It’s his glory and your freedom. I know, this approach is not easy and it will take time. It won’t always work with the lousiest of bosses there are in this planet. What if you have a boss who is beyond all the reasoning? What if your boss is completely on another planet! I once worked for huge corporate company. The newly selected CEO had arrived to our local office to introduce himself. Everyone rushed in to the info session, except Anders. I asked Anders, the guy who had worked for 30 years for the company, “Why don’t you come to listen the new CEO?” he replied, “Bosses come and go, but work will stay.” And he continued working with his computer. But he was right. The main reason why people quit are the bosses. But then again if the only reason why you are unhappy is your boss, you should not quit. The more rules they have, the more holes they have in their rules. It becomes fun to bend the rules and use the holes in them. Of course, it is a temporary thing as well. Nobody wants to play with the rules forever, but while you wait for things to get better, take the most out of the rules. When things go bad, you need to have proof what has happened, what has been said and when. I know, it sounds awful, but you need to be prepared. If your boss is the boss from hell, one day he might be after you. If you like the company where you are, talk to other managers and search for choices. Don’t blame your boss, just look for other options. Like I said, if everything else is fine, except your boss. Don’t quit. It doesn’t get better if you start arguing. Giving your opinion might help. Perhaps he has just not thought about the thing from your point of view and hearing that, might help him to become a better leader. People don’t believe in these kind of surveys, but I have seen several times how they have been effective. One of my bosses was moved to another position due to the survey. When tough decisions are made survey results will back your story. Once my boss was a bit upset. He didn’t know what I did and obviously the trust didn’t exist yet, otherwise he would be perfectly happy for not knowing. That was a bit of a scary moment. I was about to become micromanaged. I needed a solution that would give me freedom and make him happy. I suggested that I could create a report every week for the things I did. I made it clear that it won’t be detailed. It would be a list of items I have done and he can ask more if needed. He was happy with the solution. After few weeks he didn’t want to receive the report anymore. He had passed the uncertainty. This is not the first option. If you have tried other options and are ready to resign, take this as a last shot. Contact your bosses boss and tell honestly about the situation. If you have notes, it’s easy to make your case, and then it’s their choice to act or not. Even the worst bosses are human with their problems. There is always a way to cope with them. You don’t need to suffer. It’s easy to go against your boss or be the victim, but if you treat your boss as one variable in your environment amongst several other things, you start to scale the value of your boss differently. How to Divide Your Work into its Major Areas?